My 3rd blogiversary: a time for reflection and presents--yours! | So what? Now what? My 3rd blogiversary: a time for reflection and presents–yours! Three years ago today, I published my first blog post. In keeping with my blogiversary tradition, I will be giving presents to three of you–one for each year! But before we get to the give-away, it’s time for a little reflection. In three years, I have written 298 posts, including five guest posts, received 1,759 comments from 203 unique individuals, and hosted 18 link parties. I have also drunk 15,203 cups of coffee, pulled out 609 hairs, cried 10,834 tears, given 1.5 million thank-yous for blogging tips (half of those to MaAnna), and made countless friends. Okay, some of those numbers are estimates, but you get the idea. Blogging is exciting, but challenging, and it takes a community to help you reach your 3rd blogiversary. Thank you everyone! I’ve learned much over the past three years (and I know I have much to learn still), but in honor of my third blogiversary, I’ll share three of those lessons today. It isn’t always about the numbers. Back in 2015, when I hit “Publish” for the first time, I’m sure I anticipated that three years’ experience would bring a few more followers and a lot fewer tears. What I could not have anticipated is the friendships I would develop or the truly lovely blogs I would discover. I had no idea of the amazing blogging community that exists, particularly for midlife bloggers. In the beginning, I would have defined success as going viral or making money. Today, I think more in terms of relationships–those whose lives I’ve touched and who have touched mine–and, of course, the writing. When I go back and read an old post and think, “I wrote that, and it’s pretty good,” that feels like success. Or when I am writing a difficult piece and discover something new about myself or am struck by a fresh insight about something, that feels like success. There’s more to blogging than writing. There is a technical side to blogging that can’t be ignored. Okay, this may sound obvious, but it was a lesson I had to learn. I’m not so good with computers. My idea of fixing something is holding my breath while I reboot. (You’d be surprised how often that works!) Anyway, I hired someone to build my blog for me initially, and then I merrily went along writing posts and ignoring everything else. Occasionally, a member of that amazing blogging community I mentioned in #1 would point out to me that my blog was missing something crucial–like share buttons or a subscribe form. (I know. I know. This is Blogging 101.) Then there were things that they couldn’t see, like I had a subpar host and no external backup or real security. Finally, this past year, I had a full site audit and got everything under control. Since then, I’ve been taking BlogAid courses to expand my SEO knowledge and keep up on the latest compliance requirements and other basics. I’m not ever going to be a techie, and I don’t really want or need to, but I do know the basics and I have a support system to help me with the bigger stuff. Not all advice is created equal. Reading all the how-to-blog advice can get overwhelming–fast. There’s an overabundance of advice on choosing a niche and a name, content creation, image selection, when and how often to publish, the best ways to promote your posts and build a following, how to monetize, etc., etc. Some of it will speak to you; some of it won’t. And there’s always that pesky little fact: perfection is the enemy of good. If you wait to get every little detail just right before you start, you will never begin. The best advice I ever received was from Ryan Biddulph. In his course, 11 Fundamentals of Successful Blogging, the first fundamental is breathe deeply and relax. If you are blogging from a place of tension, the result will be no good for you or for your readers. Blogging should be enjoyable–or what’s the point? That doesn’t mean every minute of the endeavor will be fun filled. (Remember the 10,000+ tears and the pulled hair?) But if the whole thing is stressing you out, maybe it’s time to reconsider your motivation and/or your process. Rediscover the joy. Okay, I haven’t figured out how to serve cake online, so we’re skipping straight to the presents. Simply complete the entry form below by 5 p.m. (MT) Monday, October 8, and check out the options for extra entries. Tuesday morning, I will post the names of three winners. 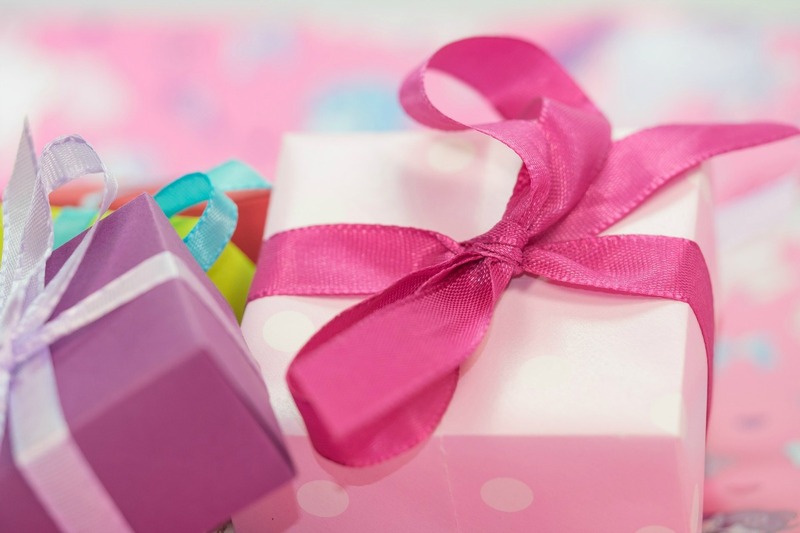 I can’t tell you what the gift will be–that would spoil the surprise–but you will like it! Congratulations on 3 years!!! Thanks for all you have shared here. I have loved all the learning and insight you share, as well as the pics of family that I love seeing! I really only read three blogs… “So What, Now What?”, “Mel’s Kitchen Cafe” (for recipes), and “Ask Your Dad”. I love you and I’m proud of all the writing you have been doing, even if it’s caused you to tear some hair out. Oh man! I forgot there was a question mark after “so what?”. I love ask your dad blog! He hasn’t been writing as much lately, but his content is superb! And I really can’t believe I won your drawing again! I feel like I’ve never had such good luck in my life! Congratulations Christie! I don’t read all your posts but stop by on occasion. I rarely read blogs anymore because it is easy to spend all my time on them. I do enjoy yours. It’s great that you have reached another anniversary, keep up the good work. Thanks Stacie. It is easy to get caught up reading blogs. I set aside a certain amount of time for it. I consider it research. 🙂 Thanks for commenting. Good luck in the drawing! Thank you Dee. You have been one of my biggest supporters from the beginning–and one of those that have offered invaluable advice along the way. I so appreciate it! Good luck in the drawing! Hi, Christie – Congratulations on your 3rd Blogiversary. I am delighted that I found your site (via Grammy’s Grid). 298 posts (99.33 per year) is a lot of posts!! You are right that numbers are not everything. But when you add in that they were 298 QUALITY posts, now that says a great deal! You are also correct that there is a TON of blogging advice out there — some great, and some simply overwhelming. One of the best pieces of blogging advice that I received was from Hugh (Hugh’s News and Views). He said that not responding to comments on your post, is like inviting friends for coffee…and then promptly ignoring them. This has always stuck in my mind. I am very interested in the support that you have received from MaAnna at BlogAid. I plan to check out her site this week. Hello Donna. I owe much to Dee–her interviewing me for Grammy’s Grid and inviting me to cohost Blogging Grandmothers Link Party introduced me to many of the bloggers I now consider friends, including you. I also owe you a big thank you for trusting me with my first guest post. I love that advice from Hugh. It makes perfect sense. Reading and responding to comments is one of my favorite parts of the “job.” I would definitely recommend MaAnna’s services and even just following her blog and Facebook page. She shares lots of important blogging news and tips. Thanks again for everything Donna. Here’s to another year as blogging buddies! Sharing this on even more of my social media! Thank you Natalie. I always appreciate your encouragement. Congrats on 3 years!! And I love the numbers…especially the made up ones. Made me chuckle. For me the continued challenge is finding new things to chat about that are still “on topic” to what I started my blog about. But I keep searching for ideas, because I’d miss the community if I wasn’t blogging and chatting! Thanks Pat. I’m glad you enjoyed the post. I also struggle at times with what to write about. It seems like it’s feast or famine–I ever have several things I want to say or can’t think of anything germane. But I’m with you, I would really miss all the wonderful things about blogging if I quit. Thank you for your friendship and support these past three years! Wow – 3 years and only 10K tears! That’s great. I think one of the most important things about blogging that I try to remember is to find your voice and not try to copy others. Good point, Janet. I may have rounded down on the number of tears. 🙂 In all seriousness, your advice is solid. It is easy to compare yourself to other bloggers and either get discouraged or start imitating. While it’s good to learn from others and find inspiration from blogs that excite you, it is so important to find your own voice and trust it. After three years, I’m getting there, but it is a journey. Thanks for the reminder and good luck in the drawing! I love that Min — I’ve decided to be perfectly imperfect. That’s advice I can follow. Thank you for joining the conversation and for the well wishes. Good luck in the drawing! Well done on three years Christie! I’m heading towards four years and so much of what you said rings true for me too. I didn’t have anyone set up my site – I just googled my way thru everything and would literally high five myself when something worked and I didn’t break anything! I am so pleased with all the friends I’ve made, with how much the look of my blog has improved over time, with all the little things I now know about HTML, and with so many other ways my brain has been stretched over the last few years. I’m looking at cutting back a bit soon – blogging less and living more – maybe that’s my advice – don’t let your blog take over your life (it’s easy to do!) I’ve loved meeting you and I consider you one of my blogging friends – I entered the competition too because I’ll be excited to see what your surprise gift is. Thank you Leanne. Your blog looks and functions so well. I’m impressed that you created it from scratch and Google. I understand the need to cut back, but hope you won’t leave us entirely. I would miss you! Still, it’s solid advice (blog less, live more). The living is the important thing and also can improve your blog. I find when I truly have writer’s block, the answer is usually to get out and live more. The experiences lead to writing ideas. I’m glad you entered the drawing. Good luck! And thanks for sharing. Blogging, and the people and ideas that come with it, are pretty amazing. I love our community too. Thank you for sharing and good luck in the drawing! Christie, I am almost three years into this blogging thing and still have no idea what I am doing. I have read a lot of stuff and tried to use what I learned but not very successful. Daughter sat up our blog and when she wasn’t able to help me I hired someone. And my advice is if you can’t get it done right to hire someone and this pertains to blogging and other things in life. Amen Victoria. Some things you can figure out on your own. Some things you leave to the professionals. I always enjoy your blog, so you must be doing something right. 🙂 I admire you for sticking to it after your initial vision (doing it with your daughter) didn’t pan out. Here’s to another year of blogging for both of us! Thank you Jennifer! I’m right there with you cheering every technical success. Thanks for sharing. I do appreciate it. Congratulations on 3 years of blogging! Shared on twitter & liked your FB page. Thank you Trisha! Have a lovely day! Well Christie, you have about 100 more posts than me after three years blogging! I think we’re both doing good by hanging in there. I want to take a look at the other stats for the 3 years also. I started out with a lot of ‘can do’ attitude and it helps when I try to recapture that feeling. Keep on Blogging!! I’ll share on FB and Twitter to celebrate with you. I posted twice a week for a while, but now I’ve cut back to once a week. The more people I connect with, the more time I want to devote to responding to comments and visiting others’ blogs. I agree with you that still being around three years later is worth celebrating. So cheers to us! CONGRATULATIONS! While I maintained a book review blog for several years, I am only four months into the world of midlife blogs. It is easy to focus on the numbers (or lack thereof) but you are so right… blogging is about so much more than that. It is about true connection. Thank you Molly. I’m so glad you’ve joined the midlife blogging community and that we found each other. Your blog has inspired me on a number of occasions, and I always look forward to your thoughtful comments on my posts. Have a wonderful weekend! Happy blog anniversary! I think my three year or four year anniversary passed in August. Funny that I didn’t remember to celebrate or say anything about it. Or maybe that isn’t funny, maybe it’s sad!! My memory isn’t what it used to be. That’s for sure. I appreciate what you’ve learned on your journey. Most of me doesn’t worry about the numbers either. But then there will be a day when I wonder if the energy expended on blogging is well spent. It is so time-consuming…at least for me. But I got into blogging to have something to do and it is giving me that! And new friendships. And an excuse to write regularly. Glad our blogging paths have crossed. Maybe you are just living so much in the present, you didn’t notice Leslie! I would be shocked if anyone who has blogged for any length of time didn’t question the decision at least once in a while. I started for many of the same reasons you did and it has given me that. I too am glad our paths crossed and that you introduced me to the seasonal bucket lists. Good luck in the drawing! I am going to keep this blog in my email and refer back to it for ideas and help. Number 2 on your lessons learned list, tell me I have several things to check into to improve my own blog. I thank you for this. I’m glad you enjoyed it, Laura, and that you found something useful in it. Good luck with the continued success of your blog!